A glowing Kimi Raikkonen showed little sign of any personal satisfaction Friday after he had topped the times to keep Ferrari in charge of practice for this weekend's Belgian Grand Prix. The Finn, whose future remains unclear as Ferrari consider their options for 2019, clocked a best lap in one minute and 43.355 seconds to outpace defending four-time champion Lewis Hamilton by 0.168 seconds. Both Ferrari and Mercedes ran with new engines in their cars, but Raikkonen gave little away when asked if he was impressed with his new power unit. "We don't do it if we don't think it's a step, but it's not a night and day difference," he said. "It's just a step. It's ok. And it's only Friday. Who knows what will happen." 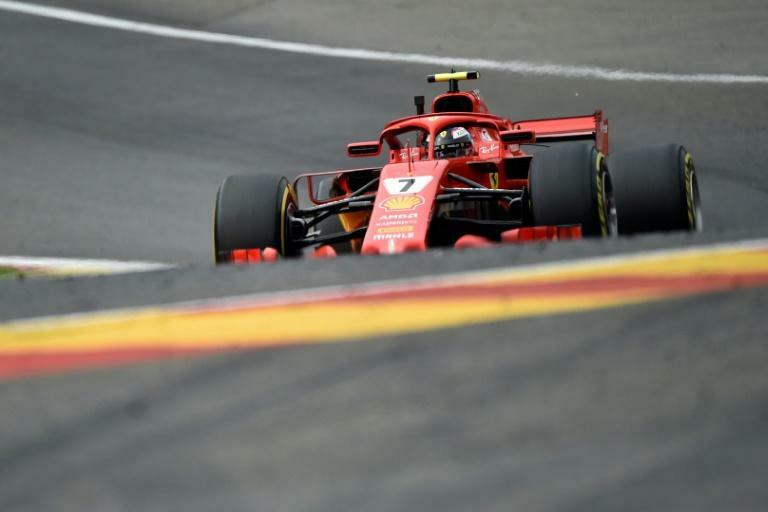 Raikkonen has won four times at the sweeping and spectacular Spa-Francorchamps circuit set in the forests of the Ardennes, but his and Ferrari's last win was in 2009. "Yes, it was a long time ago," he agreed. It was his first session-topping time since the Bahrain Grand Prix earlier this year and confirmed Ferrari have the performance to be competitive in Sunday's race, team-mate and championship challenger Sebastian Vettel having been quickest in the morning's opening session. 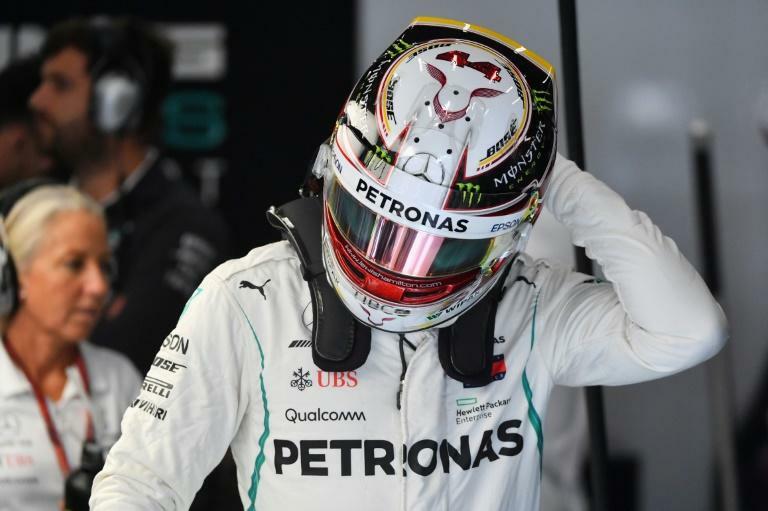 Hamilton's Mercedes team-mate Valtteri Bottas, who will start Sunday's race from the back of the grid after taking penalties for having a new engine, was third ahead of Max Verstappen of Red Bull. Both Ferrari and Mercedes introduced new engines this weekend, but Bottas has taken his limit-breaking fourth of the year. Vettel, who trails Hamilton by 24 points in the title race in pursuit of a fifth championship, was fifth in the second Ferrari ahead of Renault-bound Daniel Ricciardo in the second Red Bull. "It's doing what it is supposed to do," said Vettel of his new engine. "It's working well, but it is only Friday so you cannot tell anything. Let's wait until tomorrow." He agreed that he and Ferrari had shown weaknesses in wet conditions in recent races and had worked to rectify them. Asked about Raikkonen, as his team-mate next year, he said: "It's not for me to judge, but we get along well and have no issues together. So, it's up to Maurizio (Arrivabene) and the team to decide." Hamilton said he was hoping for dry weather so he can enjoy the "awesome" experience of racing his Mercedes at the circuit. "It's good to be back," he said. "The break is never really long enough, but there is a point when you start to miss driving, so I'm happy to be back in the car again. "These are the fastest F1 cars we've ever had and you really feel it at this track. You go almost flat through Pouhon -- it's crazy. We've brought a new engine today and everything was running smoothly. "It's really close between us and Ferrari. It seems like we've both been bringing new updates at a similar rate." Earlier he made it clear that he hopes to keep the momentum in the title race. "There are lots of positives to take into the second half of the year and there is more juice to come," he said. Mexican Sergio Perez claimed an impressive seventh in the leading Force India, now under new ownership, ahead of McLaren-bound Carlos Sainz in the leading Renault. Marcus Ericsson was ninth ahead of his Sauber team-mate Charles Leclerc, who has been linked regularly with Ferrari, and Nico Hulkenberg in the second Renault.